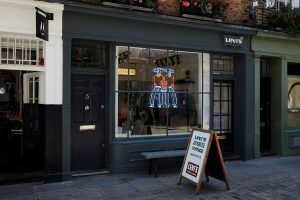 Levi’s® destination store, CINCH in Soho has been completely transformed in just six weeks, from design to completion, following a collaboration with Lucky Fox. 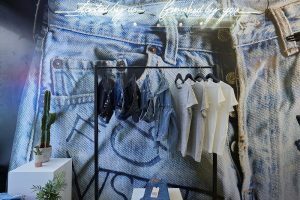 The global denim brand tasked Lucky Fox with designing, refitting and reigniting their store on Newburgh Street as a retail destination that showcases not only Levi’s® vintage clothing but also their seasonal special collections. 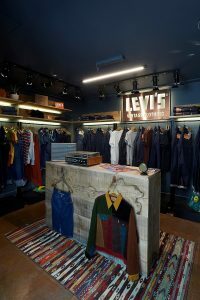 On the ground floor, Levi’s® merchandise is set against a light and bright monochrome palette – a stark contrast to the previously dark and dated interior. Adding character are floor to ceiling magnetic graphic feature walls, which can be changed seasonally for billboard style campaign imagery. A cash desk made from concrete, with a glass top extension housing air plant foliage, adds another bespoke touch and gives a premium and naturalistic feel. Keen to re-use and recycle where possible, the store features shelving repurposed from wood previously used in the store to clad the walls. In contrast to the ground floor, the vintage clothing room focusing on the LVC collection is darker in contrast and atmospheric to give the feel of a premium showroom. 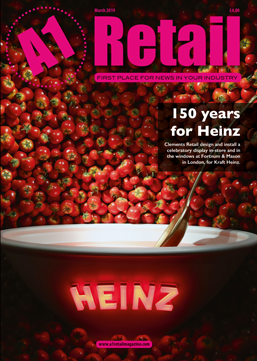 Retaining the integrity, authenticity and history of the brand was important to the scheme design. The bespoke neon cowboys in the store window – inspired from a screenshoot of a Levi’s® vintage commercial –are a playful homage to the brand’s history. 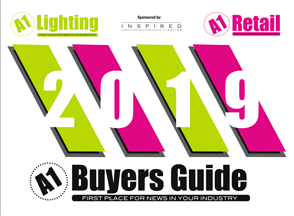 Elsewhere, copper piping and fixtures are used to echo the copper sundries that feature on the jeans and are so recognisable with the denim brand. Outside, the window is kept open apart from the neon signage, ensuring key instore sightlines and allowing more natural light into the space.